Cushman made a visit to Dublin in 1961. On his death he bequeathed 14,500 photos to his alma mater, the University of Indiana. 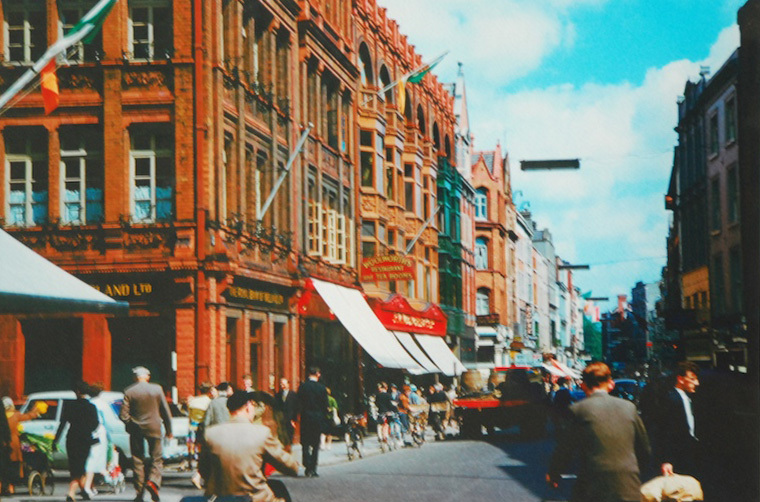 Grafton Street was named after Henry FitzRoy, 1st Duke of Grafton, the illegitimate son of Charles II. The street was developed from a country lane by the Dawson family in 1708. Today it feels like a bland British high street.